Yucatan Compass Consulting Magazine strives to provide useful content that the expatriate community in Yucatan, Mexico can use to enrich their everyday lives here. You might not be aware that the Yucatan Compass Consulting web site also provides news and updates with the same purpose in mind. Take a look at one of the articles of interest to our expatriate neighbors below. 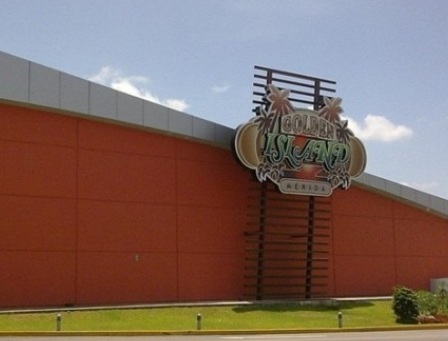 The news of the tragedy at the Casino Royale in Monterrey, Nuevo Leon this August brought international attention to safety in public gathering places here in Mexico. Residents of Yucatan typically enjoy a higher level of safety and security in public gathering places than many other regions of the country. Overall, Yucatan has been identified as one of the safest places in North America. Still- it is important to reflect on events like this to ensure that safety continues to remain a top priority. It is for this reason that a new wave of regulations have been proposed by Merida’s Mayor to maintain the highest levels of safety for residents who gather in public places like restaurants, hotels, convention centers, stadiums, nightclubs, bars and casinos. The new regulations build on existing policies already in effect. The focus of the new policies involve ensuring security employees are properly trained, maintaining fire extinguishers in easy to find locations and maintaining emergency exits that are functional, properly labeled and easy to find. Find out about the changes in policy, how the policies will be enforced and what motivated the change in the Yucatan Compass Consulting article here. It is September 16th in Yucatan. The banks, government offices, many businesses and schools are closed. Some residents rise at their “normal hour” while others sleep in a little because it is a national holiday. That- and the fact that they may have been up very late the night before celebrating the “Grito” at countless parties around town or in Plaza Principal in Centro, Merida. Today’s holiday celebrates the beginning of the Mexican War of Independence from Spain in 1810. There are many beautiful traditions that make this holiday special here in Yucatan and all over the country. If you are interested in learning more about this holiday and the tie-in with Mexico’s Revolution Day holiday click here. The first thing you will notice no matter where happen to be here are the colors- green, white and red clad buildings, busses, cars, people, animals and anything else that can be decorated. Mexican pride is at its height in September- only to be outdone during international sporting events like the World Cup. 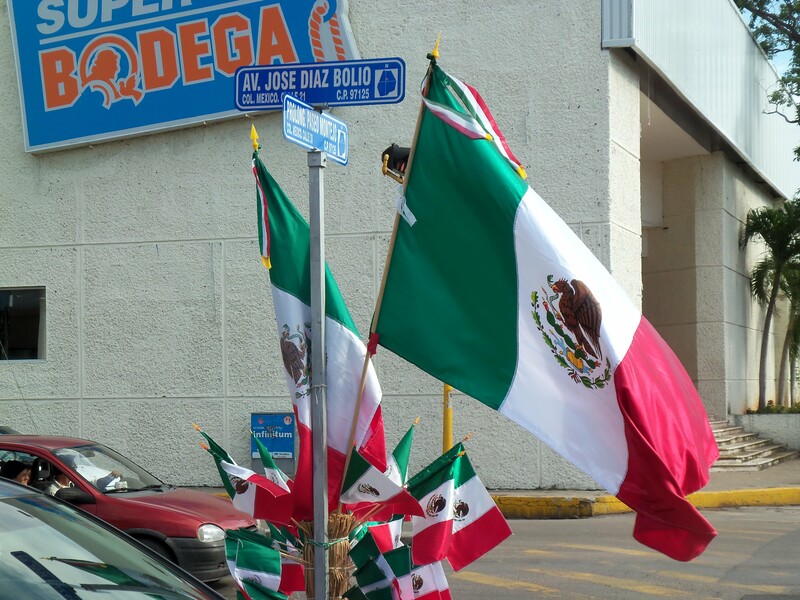 The beautiful Mexican flag is on display everywhere you look. If you don’t have anything patriotic to wear or display you don’t need to worry. Vendors abound that will sell you a wide array of products to help you celebrate. The Grito celebrates a cry to action. Those that ventured to Centro likely cheered in Plaza Principal as the Governor reenacted the events that make this holiday so special- a speech made by Miguel Hidalgo in the town of Dolores, Guanajuato in the early morning hours of September 16, 1810 that encouraged Mexico to fight for freedom from Spain. Those who attended saw the governor ring a bell, hoist the Mexican flag, present a rousing speech celebrating the heroes of the war for independence and lead in a call-and-response where participants yell “Viva!” and “Viva Mexico!” in unison. The national anthem was played, hands were raised above hearts and fireworks in green, red and white filled the night sky. 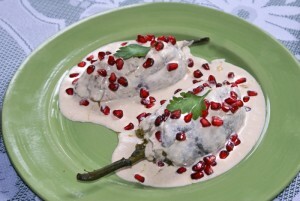 A picture of Chiles en Nogada from the Mexico Cooks! blog. Click here to visit the site. Back to today. There is a lot of food to be eaten. This is great for those nursing a bit of a hangover as well as those who are well rested. Yucatan is a growing state where Mexicans from all over the country are moving here to experience the safety and quality of life this region is known for. Traditional foods from other parts of the country have been served here for years. Now that the population of non-Yucatecan residents is growing so is the influx of cooks who can prepare these dishes- and well! One of the most popular dishes is Pozole- a pork stew with corn and other ingredients. This is a dish enjoyed all year round in cities like Guadalajara but is most popular here in September. Another popular dish from the center of Mexico enjoyed in Yucatan during September is Chiles en Nogada- a delicious dish that also celebrates the colors of the Mexican flag. These dishes are great when served fresh but get even better with age. If you enjoyed a serving last night you likely look forward to a deeper blend of flavors in your serving today. If you are interested in the recipes for these dishes we recommend visiting a great blog called Mexico Cooks by Cristina Potters. Her recipe for Pozole can be viewed here and her recipe for Chiles en Nogada can be viewed here. If you are here in Yucatan today- enjoy the holiday. We hope you take pleasure in the national pride, food, family and friends that this holiday is famous for whether you are in Mexico or abroad. Please let us know how you spent September 15th or 16th by commenting here or on our Facebook page or Twitter feed. Every street corner vendor has options for you to bring in the Grito in style! Many people from the US and Canada celebrate Mexican heritage on May 5th every year- “Cinco de Mayo.” This is a day for celebrating all things Mexico as much as March 17th, Saint Patrick’s Day, is seen as a day to celebrate everything Irish. Unfortunately some people think this day celebrates Mexico’s independence. Some other people have no idea what the significance of the day is and simply use it as an excuse to enjoy large amounts of tequila and Mexican beer. May 5th is a holiday that celebrates an 1862 battle between a small Mexican brigade and a large French brigade in the state of Puebla where the underdog Mexicans were victorious. This is a holiday that appeals to national pride here but is not the most important national holiday of the year. That is reserved for September 16th. 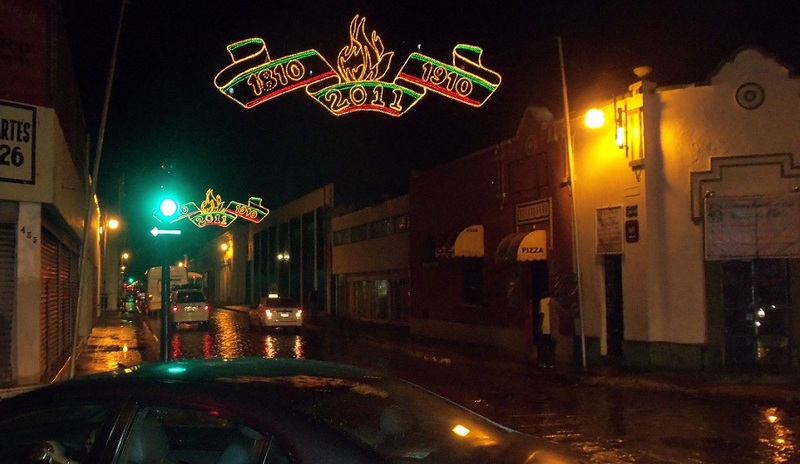 Every year at midnight on September 16th the people of Mexico begin to celebrate. In large cities and small towns, citizens gather to hear a local leader reenact a speech made by Miguel Hidalgo in the town of Dolores, Guanajuato. Miguel Hidalgo’s speech was made early in the morning on September 16, 1810 and urged local residents to rise up against Spanish rule. To gather people to hear his speech he rang a church bell. Although Mexico’s independence from Spain was not actually realized until 1821, Hidalgo’s speech on that morning and the inspiration it had on the independence movement is celebrated annually as a national holiday. This moment in Mexico’s history is reenacted each year by leaders who, at midnight, read his speech, ring a bell and ask residents to participate in the festivities by responding in unison to portions of the speech in municipal squares all over the country. This called the “Grito” or “Grito de Dolores.” One of our favorite contributors to the Mexico Today campaign, Suzanne Barbezat, has a nice article that outlines the speech itself and the various cultural traditions associated with Mexico’s Independence Day celebrations throughout the country. You can read the full article here. 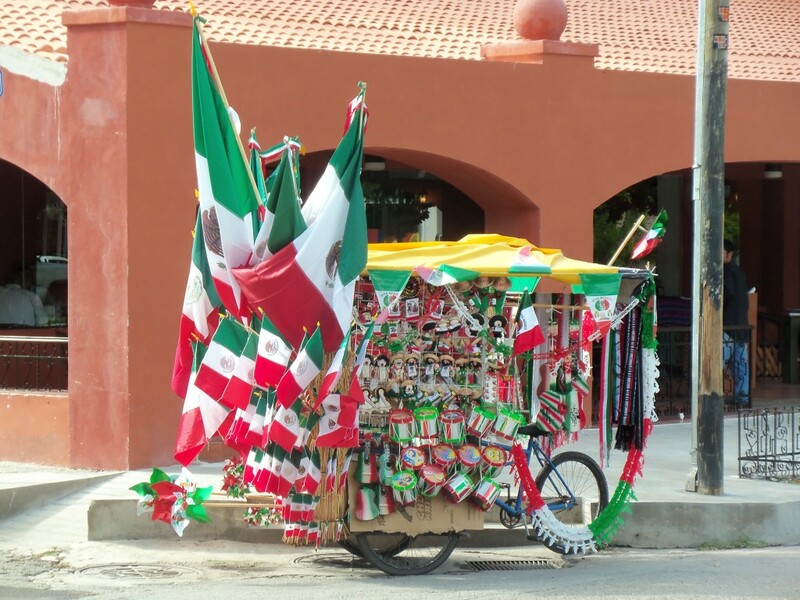 If you have ever had the pleasure of being in Mexico in the month of September you likely saw decorations on buildings, cars and just about anything that can be decorated in green, white and red- the colors of the Mexican flag. You might also notice two years highlighted on these decorations- 1810 and 1910. This is because each autumn is also a time to celebrate and reflect on the Mexican Revolution. The revolution did not begin on September 16th- there is a national holiday on November 20th to honor the official start of the Revolution. Still, these events are so significant in the history of the country that the celebration of one generally brings thoughts of the other. The Mexican Revolution began in 1910 and lasted well into the 1920s. The purpose of the revolution began as a fight against the autocrat rule over Mexico by Porfirio Díaz and his government. It evolved, however, into a multi-faceted civil war. The culmination of the Mexican Revolution was the formation of the National Revolutionary Party in 1929. This political party was later renamed the Institutional Revolutionary Party (PRI) and was the most influential party in Mexican politics for many years. Every president of Mexico was a member of PRI since its formation until the general election in 2000 where Vincente Fox was elected as the first non-PRI Mexican President in over 50 years. The Mexican Revolution is viewed by some as a transition between a federal government that wields power over its citizens to a federal government formed by citizens that functions on behalf of them. Those who keep track of national politics here since the 2000 federal elections might note that the spirit of positive change rooted in the Mexican Revolution is still very much a part of the national dialogue. As Mexico evolves so does the idea of more efficient and effective policies. What began in 1910 is still connected to the hopes and dreams of all Mexican citizens today. This is the reason the Mexican Revolution is celebrated every year. Do you celebrate September 16th? What are your traditions? Do you have a different take on Independence Day or Revolution Day in Mexico? Share your thoughts below or on our Facebook page or Twitter feed. Fraccionamiento Francisco de Montejo is famous for tacos from other regions in Mexico. This is a taqueria on "taco road," Calle 42. This street comes alive with sights and smells every night. Before trying tacos made from tongue or cheek (not a joke- these are real authentic taco meat options) try the options below. The following post is part of our “Yucatan Top Five” series where we look to share our favorite things to experience in the Yucatan Peninsula of Mexico. These posts are written from a local perspective so that new residents have a jump start on the “ins and outs” of their new environment. Before you read more about the best tacos in Merida, Yucatan you might want to get some background on the subject. This is especially important for those novice Mexican foodies out there. Check out the “Everything Yucatan: Tacos” article here. You can then follow the link back to this article. Yucatan Compass Consulting’s Diana Gonzalez is at it again! She has put together her top five taqueras in Merida as a starting point for those exploring tacos beyond what they know of fast food chains and store-bought hard-shell taco kits. There are countless varieties of tacos available on the streets of Merida- or any other Mexican city for that matter. This list is meant as a starting point so that readers can begin an adventure in local cuisine. Diana should know about local cuisine as she has lived in Yucatan all her life, minus a few months where she studied language abroad in Europe. If you want to learn more about Diana and the Yucatan Compass Consulting team please click here. You can email her directly for more information about tacos or just about anything else related to living and doing business in the Yucatan Peninsula at diana@yucatancompass.com. This taqueria is my personal favorite. A friend’s parents own the place but that is not the reason why I love it. Your memorable experience starts when you first sit down. They serve you delicious beans with freshly fried tortilla chips while you order and wait for your food to arrive at the table. There are several menu options to choose from here. The specialties, as far as I am concerned, are Nachos de Pastor, Beef Tacos and the exquisite Frances Suizo. I like the last dish as it is not made with tortilla but with a home-made baguette, beans, guacamole, cheese and any other meat listen in the menu. This is not the cheapest option on my list of favorite taquerias in Merida but it is one of the best. You will agree with me after the first bite of your entrée. You will also enjoy the very attentive staff members, high quality service and first rate facilities. You can find Los Taquitos de PM on Paseo de Montejo, Francisco de Montejo, Residencial Pensiones and at the food court at Plaza Galerias. Click here to visit the Los Taquitos de PM web site. This restaurant started as a small food retailer in the food court of the Gran Plaza shopping mall. It was such a success that the restaurant has expanded to a total of 15, mostly full service restaurants all over Merida. The newest restaurant opened in Fraccionamiento Francisco de Montejo in August. The secret of this local chain of restaurants is the high quality of its dishes at a fair price. If you drive by one of their locations in the evening you will see that they are packed inside and on their patios with a combination of local residents and tourists alike. The “must try” specialties of Los Trompos are: tacos al pastor, stuffed potatoes and the delicious pizza de pastor (pizza with al pastor meat and pineapple). They are open primarily for dinner and late night service including full bars at their freestanding locations. They have eight full service locations in Centro and other colonias in Merida. You can enjoy their fare during the days at Plaza Dorada, Plaza Sendero, Gran Plaza, Plaza las Americas, Macroplaza and Plaza Fiesta. If you find yourself sunbathing or dancing the night away on the beach during the summer season you can find locations in Xmatkuil and Chicxulub as well. 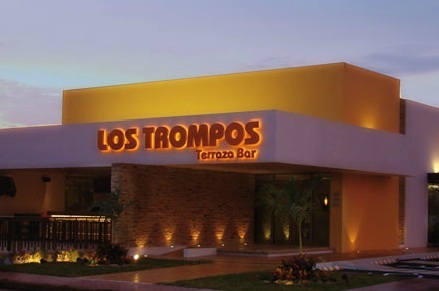 Visit the Los Trompos web site here. La Parrilla is the most traditional taqueria in Merida. It’s been open since 1975 and has reigned as a “must visit” restaurant in the area for visitors from all over the world. They have full service locations in Cancun, Playa del Carmen, Campeche and, of course, Merida. Besides good tacos, La Parrilla offers a Mexican Buffet everyday from 1 to 6 pm. It also has a patio where you can enjoy Comedy Night every Thursday and live Trova music Fridays and Saturdays. My favorite dishes at La Parrilla are: arraqueso (arrachera tacos with cheese), queso frito (fried cheese) and for dessert- delicious crepes with caramel made tableside (it is quite a show). La Parrilla is located on Prolongacion Paseo de Montejo in Colonia Mexico. You can enjoy this great restaurant for lunch and dinner as it is open from noon-midnight Monday through Friday. They open for breakfast on Saturday and Sunday at 9 am. Visit the La Parrilla web site here for more information. For visitors and our recently relocated neighbors from foreign lands the first glimpse at my next top pick for tacos in Merida might not be quite what they expect. 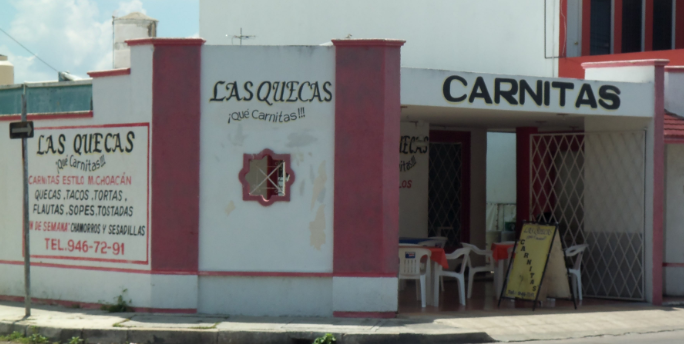 It is, however, a typical Yucatecan taqueria in appearance. The food, however, is far beyond typical. Cacique is a taqueria that local residents might call a “changarro.” This is a Spanish term that literally means “small shop.” It also implies that the establishment is very informal and inexpensive. If you are a connoisseur of good tacos you know that this type of restaurant is likely the place to find the best food around! All forms of “changarro” fit in the description of Cacique- it is informal, delicious and a real bargain. I think that the best tacos al pastor in Merida are from Cacique. The best dishes (other than tacos al pastor) to try at Cacique are: nachos de pastor, torta de pastor with cheese and burro de pastor (like a giant taco). Don’t forget to ask for their delicious garlic sauce and amazing grilled onions! You can find Cacique on Prolongacion Paseo de Montejo to dine in but now it’s so famous they have two or three establishments just for delivery. Click here to find Cacique on Google Maps. El Fogoncito is the newest of the 5 restaurants I’m recommending. If you are looking to experience authentic flavors from the center of Mexico this is the place to go. It is a franchise of a restaurant that has been popular in Mexico City for over thirty years. There are many good dishes to try. My favorites are El Fogoncitos´s specialties: parrillada fogoncito (one of each: chicken and onion, beef meat steak, smoked rib, pastor, half quesadilla and one more with chorizo) and que me ves (a delicious beef steak, with a reach combination of pastor meat and great Gouda cheese). El Fogoncito is located on Prolongación Paseo Montejo at calle 7 in Colonia Campestre. They are open from 1 pm- 1 am daily. Click here to find El Fogoncito on Google Maps. What do you think about our list? It is meant as a “starter” list for novice taco eaters. Do you have a favorite taquera that is not listed here? Where do you recommend folks to eat if they want to be a little more adventurous? We welcome you to comment below or comment on our Facebook page or Twitter feed.